Monday, 28 April 2014: One Year, Three Weeks and Six Days Old. I don’t know what was wrong with Ayla – she’s still unsettled tonight -but she keeps screaming and crying and refusing to lie down. Last night I was up with her til 1am and the Hubby took over until 3am, but Ayla then woke at 5am, 6am and 7am anyway. It was tough! Ayla had a temperature but no other symptoms, Panadol didn’t work and sleep seemed impossible. 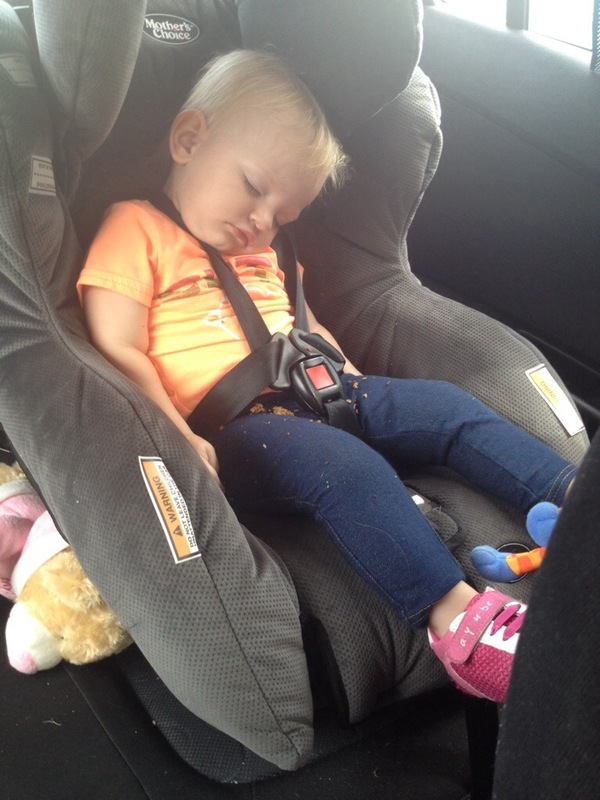 This morning Ayla was tired (weren’t we all) but she seemed well enough to go to day care. Two hours after dropping her off though, I got “the call” asking me to come and get her and take her to the docs because they couldn’t settle her, no matter what they tried. The doctor checked Ayla’s ears, throat, nose, stomach and kidneys but all we’re clear and healthy so she sent us home to get some rest. But still, Ayla screamed! For two hours I cradled her and rocked her hoping she would settle but it was futile… Ayla was not happy. I eventually took Ayla outside to play where distraction seemed to keep her screams at bay. But by the time Hubby got home from work Ayla was back to grizzling and crying and screaming and we know we have another long night ahead of us. After dinner I sent a zombied Hubby off to bed while I sat up with a teary Ayla. Ayla kept passing out from sheet exhaustion only to wake every fifteen minutes or so in what looks like pain. I’ve just put her down now, at 10.30pm. I don’t know if it’s teething, a delayed upset tummy from the formula, another UTI or something else, but whatever it is Ayla is sad, and hurting and dog-tired, and I am too. Thanks Heather. It is strange how the full moon can affect them so ! It seems like waiting it out is the only thing for us at the moment. PS – poppies diapers are all regular. I hope that she returns to her normal bubbly self. Also when was her last poopy diaper it may be that..